Ladies and Gentleman, this is the mountaintop. 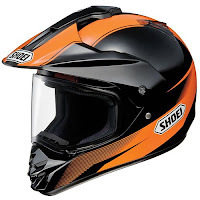 Shoei let the Hornet DS out of its cage in 2009 and it has since seen a meteoric rise to the top of the ADV Touring & Dualsport Enduro market. 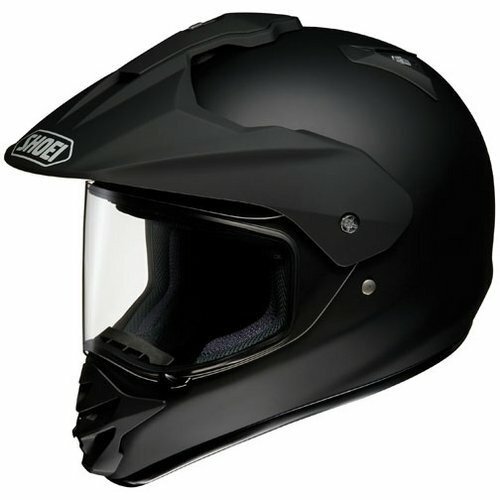 This helmet is in the über upper echelon, available in solids and the sonora color scheme. The Sonora is on crazy discount right now (30% off) arriving at a price point that blows its only rival, the Arai XD3, out of the water. Why am I going haywire right now? Because this helmet is designed for long-distanced enduro riding: protection and comfort are critical. Shoei hit it out of the park on both fronts. I'll rattle off some of the features: Advanced Integrated Matrix Plus shell, a lightweight, super-rigid & resilient shell; an extra-wide shield that seals completely against the gasket for complete waterproofing, but also allows for goggles to be worn; adjustable venting for variable ventilation; removable & washable 3D interior that is antimicrobial and hypoallergenic; superior aerodynamics and ergonomics. Have a look at the video. Compare it to other Dual Sport motorcycle helmets. This helmet is a winner.